The nightly rate shown is the monthly of $299 plus ~$100 for electric. I've been here for 3 full weeks and it's an OK park. Restrooms are clean, pool is nice, plenty of room to ride my bike. But when I first got here the office gave me 3 choices of spot, two of which were right next to long term sites where they had spilled over into where I was assigned...seems they're battling with those renters and send people out to try to wedge their way into those spaces. Kind of like some passive aggression going on there. I took the site where that wasn't a problem and that site had very soft dirt with some of it overlaid with gravel. My driver side rear landing pad sunk into the dirt by 8". So, moved to the site I'm at now after 3 nights. I can see the 40 foot high Wifi antenna where I'm parked and there are 3 of them in the park. I get fairly good Wifi most of the day. Services are adequate. Water seems OK. I have an under sink filter. Water pressure WAS too high (70 PSI) for my system so I'm using a reducer. I understand they are working on fixing some of the soft parking spaces. The park is MILES from anything though. So I only shop once per week and try to make sure I don't need to make any quick shopping trips. Make lists or do without! I like it here, and I like saving money. This is the lowest cost park I found in Yuma. They even have a $3 bfast on Saturdays. Not much to do in this area though. 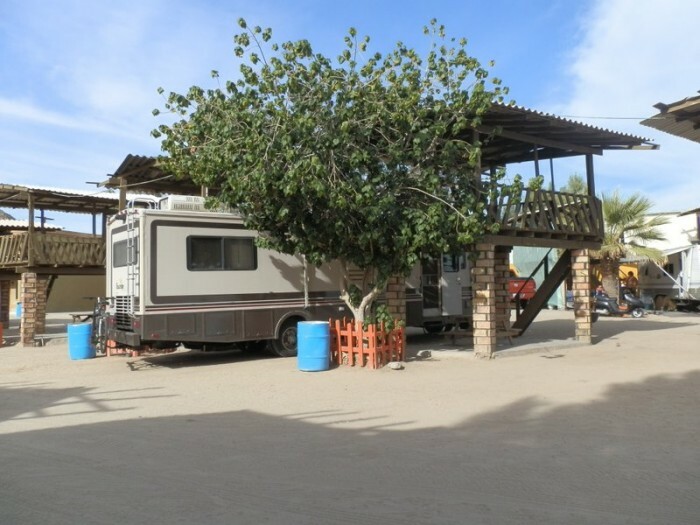 We camped at Southern Mesa RV Park in a Motorhome. 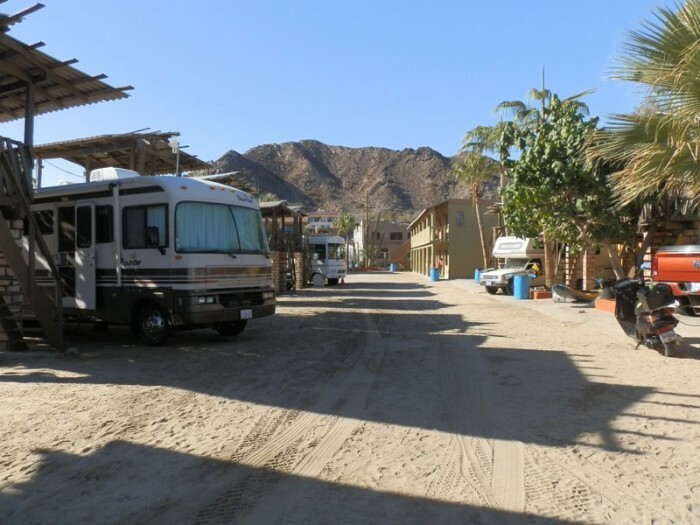 Everything is at least 4 miles from this RV park. So plan on making shopping lists to keep your travel miles down. Downtown is a kick and worth the 12 mile trip. There's some unique shopping, two sports bars with brews on tap, one of them IS a brewery, a wine tasting place, typical downtown stuff. Many places to eat. Heading north on 3E if you turn right on '32nd', there's a Walmart. 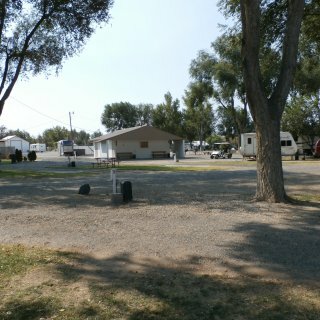 This older park is not a $45/night (for 30 amp pull through) park compared to other parks I've stayed at in the 13 years I've been a full time RV'er. Even with the vets discount $40/night was too high. However, I'd never been to this park when I reserved and after using facilities here don't think the price charged fits. All roads in the park are gravel, there's fine dirt around to track inside the house so I remove shoes on entry. The shade trees are fairly mature and helpful in August. The small patches of lawn are welcome but minimal at my site (Ln #2, Site #2). Few picnic tables. The electrical is older but functional. There are a few 50 amp sites, but they were taken when I made my reservation, and I asked for shade. Electrical held steady during the heat of the day. Sites are flat, and park is easy to navigate. Cable was bad when I first hooked up, they reset something and picture came back as ok (analog) but the sound has a continuous AC buzz. Lucky there was a small gap in the trees and I could get satellite. Wifi is blazing fast, but like all, sometimes goes wacky. Mostly it's good. The park store was moderately stocked, I bought fresh corn on the cob there, and other items, and there's also a nice market nearby. The town is small with nothing much to do around here. Not much to see except some murals. Town appears to be limping along. All in all, I'd say this is an excellent $30/night park, but not $45. Matter of opinion. 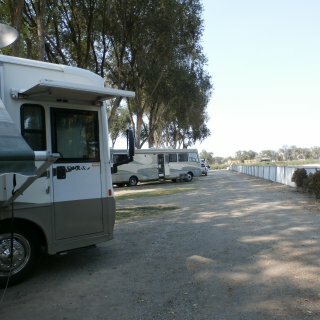 We camped at Vale Trails RV Park in a Motorhome. Staff sent me first to a spot that was occupied. After that, they sent me to a different spot which was fine, just the whole thing added time. I'm glad I didn't arrive just before closing. They gave a military discount (10%) which I appreciate. They have changed their procedure and now, when you want to go to the casino, you have to wait at the laundry room for the GSR pickup car. Once an hour on the 1/2 hour. And while I'm sitting there, the guy drives up, goes right by and doesn't even slow down! Waving at him did no good. Had to call the dispatch to get him to come back. But overall, not a bad park. The Wifi was much better this time compared to 3 years ago when I stayed for a couple months. I'd say it's more than adequate now. I did try to use the bathrooms but twice I needed assistance with the card to get inside. They just do not work well. Same as 3 years ago. If it wasn't for the kindness of strangers, I'd still be trying to get inside. 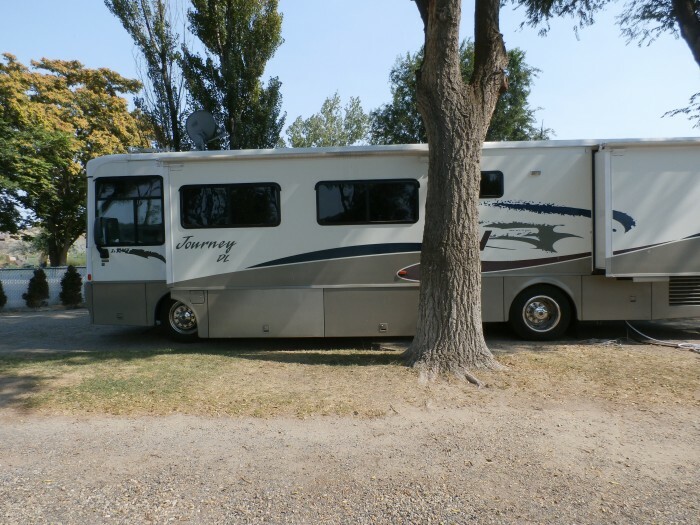 We camped at Grand Sierra Resort RV Park in a Motorhome. I'd recommend the place for a night or two, especially for the nice buffet they have, but don't bother to gamble, they've really tightened things up so there are hardly any winners. AND, what use to be $5 BJ tables are now $10 per hand and up. When I'm lucky, and a good pad opens up, I stay here for weeks at a time. But that was last year and years past when the weekly was $180, now it's freaking $220. Really, place isn't worth that. 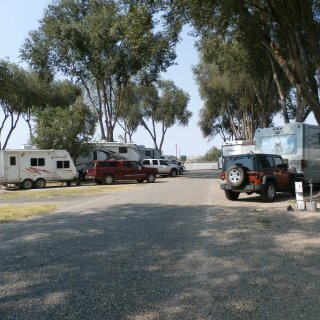 We camped at Rolling Hills Mobile Terrace & RV Park in a Motorhome. Close to everything, also there's a bus stop right outside the park, convenience store nearby, and a bar with excellent food and food specials. This large park on the lake is conveniently close to New Orleans. A little spendy, and the WiFi is spotty, but their $6 rt shuttle bus 3 times a day, the on-site restaurant and bar, the nicely stocked convenience store, cable TV, the waterfront, the overall friendliness and helpfulness of the staff, make this park a pleasant place to stay while visiting New Orleans. I would definately stay here again. The shuttle was a fine way to begin to explore New Orleans without stress since you don't have to battle traffic in an unfamiliar downtown. We camped at Pontchartrain Landing in a Motorhome. The shuttle bus leaves at 10AM, 3:45PM, and 7:45PM heading to the French Quarter, a 15 minute drive. And picks up at 4PM and 8PM. Plenty of time to explore, take a paddle wheel trip, arrange for tours. Many fine places to eat or shop in New Orleans of course, and the parks on-site restaurant is pretty good too. Best tip is that you should plan on staying here several days to enjoy much that New Orleans has to offer and don't let the 10% tax and high prices for everything be a bother. Nice park. Attractive. Grass everywhere. Stayed one night. Sites are compacted gravel, flat, with picnic table, and surrounded by grass. All are pull-through. Very pleasant. Sites are flat enough that most won't really need to use jacks. Facilities are newer so electrical outlets are fine, water is tasty with good pressure. TV is over-the-air with several stations. Wi-Fi was terrible and costs $1/night extra. Down: 2.7 Mbps, Up: 0.37 Mbps. Just fast enough to check your email and visit FB for a while. That's about it. Park is far enough off the freeway, I-10, that it is very quiet, but still easily accessed. Not much to do in the near vicinity. 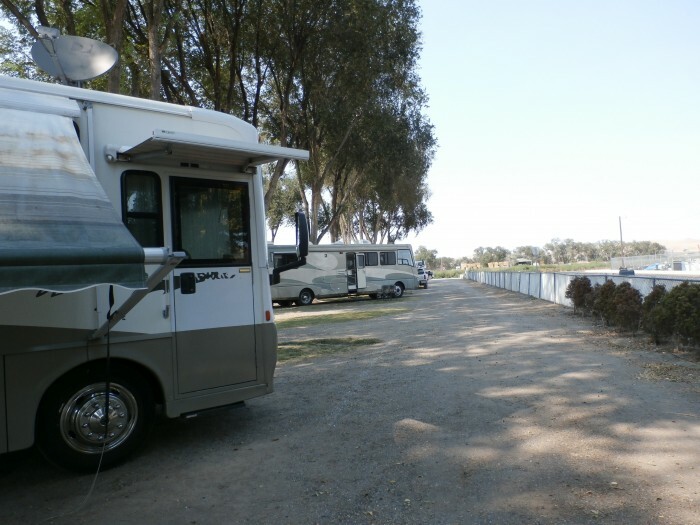 We camped at Eagles Landing RV Park in a Motorhome. Convenience store with ATM within a mile. Big box store open 24/7 10 minutes away. Although I asked about discounts, got distracted and didn't show cards so didn't get the discount. Have your cards out as they have discounts for Escapees, GS, AAA, current and former Vets. Lots of mature trees help shade the numerous back in sites. Park also has several grass covered, unshaded spots if you prefer sun. A few pull through sites available. Small selection of staples available in office. Free book trading library. Park accepts mail and packages for residents. Pool is nice, fenced, and clean. 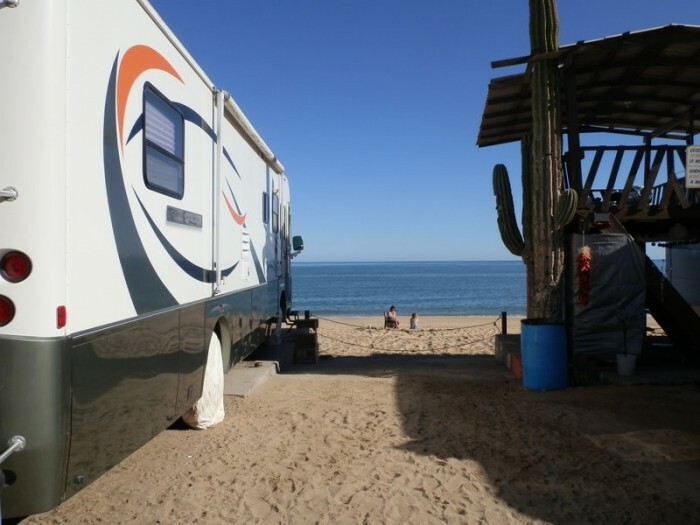 All RV sites are large, with patios, and are on sand. Some picnic tables available. WiFi just recently upgraded and now works well for FB, eMail, and the occasional movie during low usage hours. Park has a family section so some children are present. 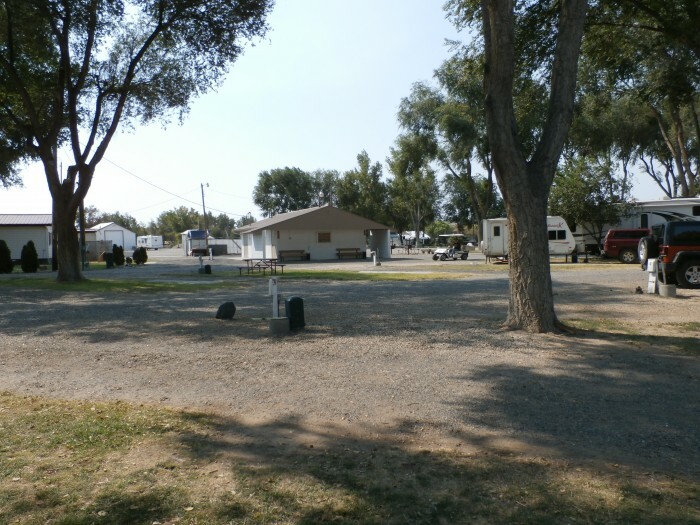 We camped at Lost Lake RV Park in a Motorhome. Pleasant bike/walking path nearby, paved over the 5 miles to downtown Apopka. No taxi or shuttles available, bus stop nearby. Driving distance to services like shopping, bars, or restaurants. Food can be delivered from local Asian and Pizza restaurants. No cable TV, several channels OTA are available. Approximately 30 minutes from Walt Disney World and Epcot Center. Older, rustic park with a restaurant/bar on site. Easy access from I-40, easy to get around the park and into my back-in space. I like this park and during my walk around found many flat sites that can handle very large rigs with toads. Some of the picnic pads are broken up and there is no cable TV, only 4 digital stations (English) available with 2-3 Spanish stations as well. There are many back-in sites and many pull through too. I had no problems leveling my rig. Wi-Fi has been fine but I can see if the park was full that many might have problems if they are far from the only transceiver located on the office building. Once up and on-line, it has a time out timer that shuts down your Wi-Fi if it's idle, but it's easily restored. I had to connect with IE or Chrome but could then switch to Firefox. Was able to watch TV programs on-line (but the park is only about a quarter full right now). Bathroom showers are small and one shower head wasn't working but with flip-flops I would have no problem using the stall that had a working shower head. Room was clean with plenty of t-paper. Laundry room was excellent. The rebar mentioned by another reviewer is the handle on the sewer blocks and during a walk around before backing into a space are easily moved out of the way. But: the sewer connections are surrounded by a low cement box and are closer to the RV then the electrical tower so be careful, maybe plan to arrive during daylight. There are 15A and 50A outlets but no 30A so you need an adapter: sold in the on-site store for around $30 including taxes so bring your own if needed. I'm staying here a week, and at $176.10/week (senior rate), I'm pleased so far. 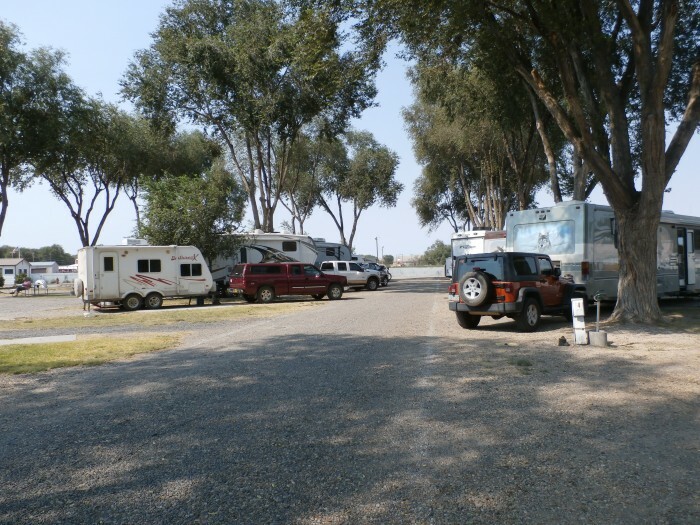 We camped at Black Bart's RV Park in a Motorhome. Really have enjoyed my 6 day stay at this park so far. Pleasant and quiet with a cooling breeze nearly all day. Lots of roads and a beach to ride my bike on. 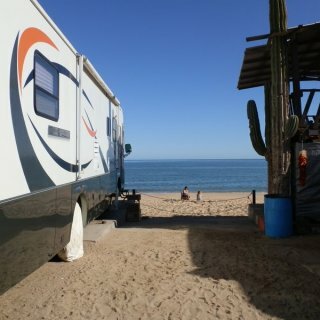 The RV campground, where I'm parked, is a hike or bike ride (maybe 100 yards) away from the ocean and beach but there are several RV dry camps available right on the jetty too. It's very quiet and secluded here with lots of trees and shrubs obscuring camp sites. 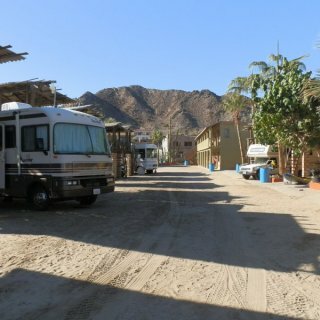 There is a well stocked store about a mile away from the RV campground which also makes and sells pizza and sandwiches. I pick up cell phone signals here and also several Portland TV & local radio stations. When it's hot in Portland, it's usually cool here, but it can get crowded on the weekends since it's only a couple hour drive. I had to wait 1/2 hour on Friday afternoon (12:30 pm) before I was allowed to park on a reserved RV space, but there were 4 no shows that day so not a problem finding a space. And I'm told that this next weekend, July 29 & 30, is all booked too. (But there are almost always no shows). The staff is helpful and pleasant, and the bathrooms are clean. This is a county park. We camped at Barview Jetty Park in a Motorhome. 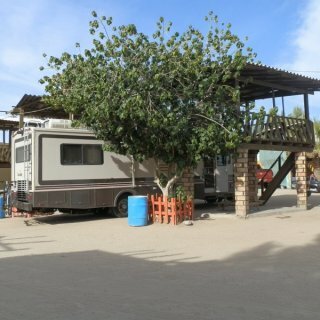 Excellent park on the CA side of the Colorado River just 5 miles from Parker, AZ and plentiful shopping. Friendly staff. Grassy sites. Very quiet park with no road noise. Some water craft but in the summer mostly, pretty quiet now that the water level is down. Like it enough that I paid $270 for a months stay (electricity is extra, about $0.12 per KWH). Owner would allow me to leave for a trip away and return to continue my stay without further charge (at least this time of year, returning in Feb). Grounds are well kept. Facilities are clean and pleasant. Hardly any noxious bugs and there is interesting wildlife wandering through the park occasionally. Very nice park, enjoying my stay very much. Excellent weather this time of year. 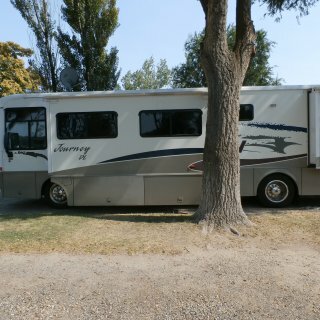 We camped at Big River RV Park in a Motorhome.